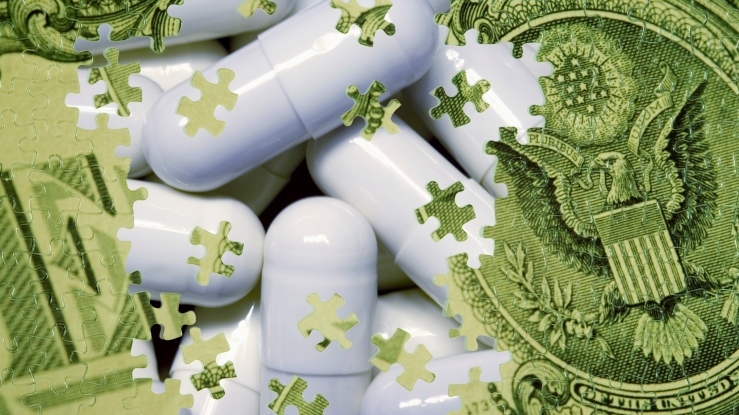 Turing increased the cost of Daraprim to $750 per pill, from $13.50. Hillary Clinton cited the Daraprim price increase as a justification for her drug price proposals. (Bloomberg) — The top U.S. pharmaceutical lobby group said a drug company that has drawn criticism for a 50-fold price increase of a decades-old drug doesn’t match its companies’ values. Turing Pharmaceuticals AG is not a member of the group, Pharmaceutical Research and Manufacturers of America (PhRMA), which represents drugmakers including Pfizer Inc., Merck & Co. and Amgen Inc. Yet Democratic presidential candidate Hillary Clinton used Turing as an example of what she called outrageous behavior by the industry, and issued a plan Tuesday to fight high drug prices. Hours later, the drug lobby distanced itself from Turing and its Chief Executive Officer Martin Shkreli, a former hedge fund manager. “@TuringPharma does not represent the values of @PhRMA member companies,” PhRMA said on the group’s Twitter account Tuesday. Turing is hardly alone in being a target. Gilead Science Inc. has been criticized for the $1,000 a day list price of its hepatitis C medicine, and makers of cancer drugs that cost $150,000 a year or more have come under scrutiny as well. The cost of drugs has become a political issue in the 2016 presidential election. Clinton’s comment Monday sent the Nasdaq Biotechnology Index down 4.4 percent that day, and the index declined a further 2.6 percent at 2:18 p.m. New York time Tuesday. She was responding to reports about how Turing in August acquired an older antibiotic drug, Daraprim, and soon after raised the price to $750 a pill from $13.50. The drug industry has been criticized recently for the costs of medicines to treat hepatitis C, cancer and other diseases. On Monday, Shkreli defended the price increase for Daraprim, calling it a bargain even at the higher price. Patients typically take the drug, which treats the parasite-caused disease toxoplasmosis, for at least several weeks, at what Shkreli said was about a $50,000 cost. Some may need it for longer.